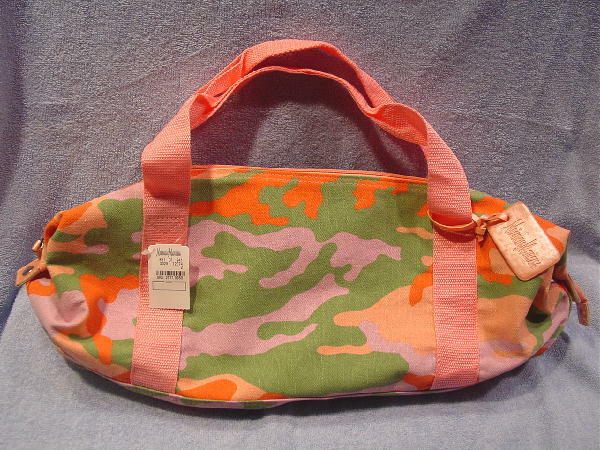 This never-used lightweight canvas bag has a dark peach-azalea color synthetic lining and is by Neiman Marcus. 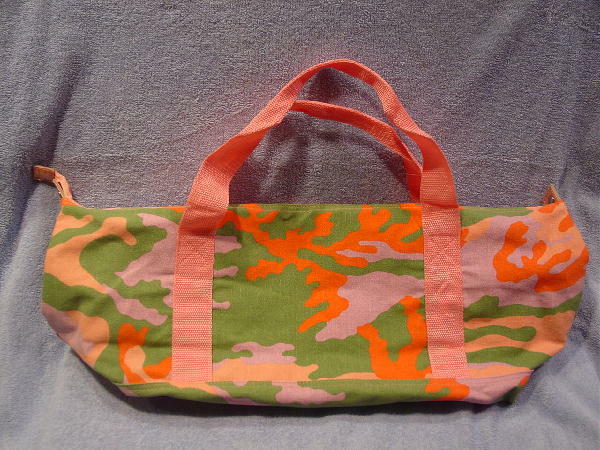 It has a top side to side zipper and side snaps so that you can give it a different shape. The store tag is still attached; there is also a pearlized peach tag with Neiman Marcus etched on it on one of the straps. 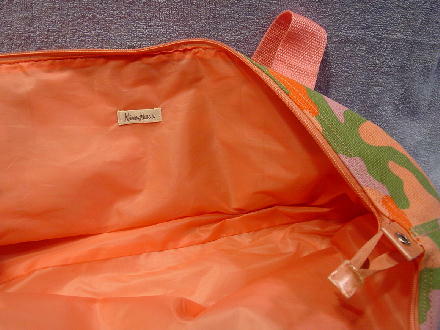 It has a design pattern in peach, orange, light purple, and green. The straps are in a dark peach-azalea.